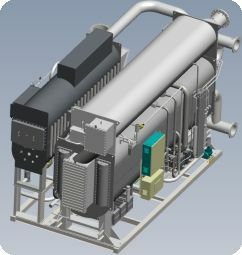 Why should Equipment manufacturers implement SolidWorks 3D? Various factors influence the cost of an equipment, profitability of the enterprise as well as image of the company. Imagine a situation wherein the supply of a product was accepted at low profit margin and the product was delivered late due to re-work, mis-match, incorrect Bill of Materials (BOM) or performance issue. More than 85% of the cost attributed to all of these challenges are influenced by design. These serve as bottlenecks in growth aspirations and profitability of any Engineering Enterprise. Is Correctness and Completeness of Drawings according to Standards important? Is Cost Reduction target provided to all Departments including Design? Is Design Validation becoming a regular requirement to meeting product performance criteria? Is staying profitable becoming a challenge? Is development of new technologies and capabilities relevant for retaining/ capturing market leadership? If any of the above provides an affirmative answer, then it is time to Invest in SolidWorks, now. When Standards drive Design, Why Invest in SolidWorks for Design? 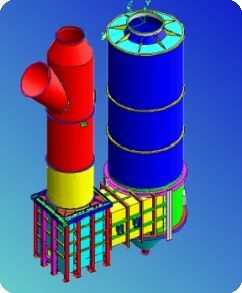 Popular Standards such as ASME, TEMA, EJMA have been the basis for Engineering Design Sizing Calculationns for equipments manufactured world-wide. Though Standards provide guidelines for design considerations, it is incumbent upon the manufacturer to ensure supply of efficient systems having higher reliabilty at lower costs ! In order to stay competitive manufacturers are required to provide designs that address these challenges in more ways than one. Standards are insisting that Finite Element Analysis be performed in addition to manual calculations. This requires a 3D framework. Integrated FEA inside a Design environment using SolidWorks offers the best choice in the market today. Save Time - More projects in the same time delivered using Flexibile Design Automation within SolidWorks. Value Engineeirng using FEA and CFD Validation - Solidworks Simulation and SolidWorks Flow Simulation helps determine Factors of Safety, Fatigue Life Assessment, Efficiency estimation, Seismic Response, prediction of vibration levels including Root Cause for Failure Analysis. 'Do it Once - Do it Right !' has been the aim of SolidWorks users. 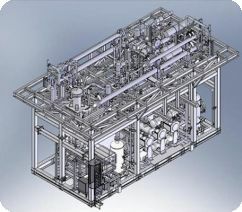 Development of very large and complex systems have been made possible with the usage of SolidWorks. Nothing is constant but Change - True in Design Engineering. SolidWorks enables propagation of design changes both upstream and downstream ensuring correctness of updates. This results in cost and time saving due to re-work. SolidWorks has established itself as a proven design tool with Process Equipment Design teams in India and rest of the world. EGS India - We speak the Process Language ! EGS India has been involved in design and validation for process engineering industries in India since 1993 ! As an established Design Centre, EGS has been a reliable partner for delivering design solutions. Did You Know that Product Failure causes incalculable loss to Company Image? Design Validation helps address this and eliminate product failures - This Saves Time, Cost and Reputation !